Specialists and primary care physicians enjoy a very close, interactive relationship as they collaborate to manage care of their mutual patients. I know that PCPs value their specialists, and that specialists value the PCPs who refer patients to them. The typical exchange is where the PCP has the specialist engage with their patient for a particular issue or problem. Maybe the patient was hospitalized and requires post discharge care by the specialist. The interaction is typically episodic, with a treatment plan defined or intervention performed, and a referral note generated back to the PCP; the patient is typically returned back to the PCP for ongoing care. I would suggest that this collaboration extends much deeper, as patients with certain chronic or acute diseases will require management on an ongoing basis by the specialist. Care for some patients will require the expertise of the specialist to both monitor and treat them. This compartmentalization of care, however, can bring challenges to the communication flow which can impact ongoing care provided by the PCP. The “full picture” of the care for some patients may no longer known by the PCP. Correct or not, there is an unspoken expectation by some (or most?) patients that the PCP has full knowledge of ALL care they are receiving. So how do we proactively and intentionally manage the flow of communication? First, we focus on the patient and assure that the PCP is in the communication loop for any care provided by the specialist. This means that we expand our processes to include the PCP in the communication loop for both referrals AND for any ongoing management. We should establish a communication standard or expectation between the PCP and specialist. Many specialist offices I interact with indicate that communication with the PCP is limited to referrals. We can miss the mark as specialists when we limit our communication to referrals alone. Is there clinical value in knowing changes to the treatment plan or any medication changes? Of course, there is benefit. And PCPs should not be afraid to open dialogue with specialists about their need for ongoing communication about the care of their patients. This definition of a communication standard must not be left for someone else to decide. It should be proactively defined to meet the needs of both the PCP and specialist. My experience is that the PCP’s desire more communication, not less. Second, specialists should make sure that the current PCP is confirmed for any patients they see. It may seem like a small thing, but this tiny step makes a big difference in directing the communication to the correct physician or provider. Patients will usually stay with their PCP, but this cannot be assumed. Movement is more common than you think. Lastly, PCPs and specialist should actively seek opportunities to improve the communication flow through available tools such as the Community Registry/HIE sponsored by NPO. The Community Registry/HIE collects key data from the EHR (PCP or specialist) that can be queried by other treating physicians, including current medications and some test results. Do you have DirectTrust accounts for secure messaging for your practice or providers? Maybe your EHR system has a feature that will automatically and securely communicate with the PCP or specialist when the visit document is signed. Seek out ways that you can improve access to relevant and current data. Interoperability is a newer buzz word, but we still live in a world with disparate silos of data that cannot communicate with each other. Most EHRs as they exist today cannot see data that resides in other systems. Some data which resides in our systems in a format that is not usable, such as faxed results or results buried in the text of a consult letter. Some day we might actually be able to see actionable data from multiple sources at the point-of-care. I know, I can dream. For now, we can use the tools we have at our disposal to better manage the care of patients. BTW, did you know that Specialists can engage and be part of the PCMH Neighborhood? PCMH is not limited to primary care alone. The process requires that you review and document key processes internally and adopt certain predefined standards. The NPO Quality Team can be a valuable resource as we retool our systems and processes to achieve better care through focused, intentional design through PCMH. PCMH can be a great framework for success! 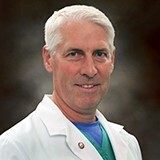 Bob is a Site Manager for Grand Traverse Ophthalmology Clinic and has been Petoskey NPO PAAC co-Chair since 2011. Prior to joining GTOC, Bob was the Practice Administrator for Internal Medicine of Northern Michigan for more than 17 years. Bob and his wife, Vicki, reside in Boyne City and enjoy camping and sailing. 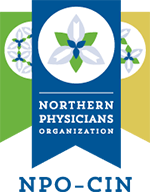 For additional information about PCMH, PCMH-N, DirectTrust, Registry, or Health Information Exchanges, please call NPO at (231) 421-8505 or e-mail info@npoinc.org.